There's a mandate set in place by the state of California to help the bee industry safe from pesticide spraying. Ethan Rasmussen with Rasmussen Farms and a beekeeper in the Gustine area of Merced County discussed it with California Ag Today recently. The Bee Where program mandates beekeepers to register their hives under AB2468. It was set up to help pollinating bees during the pollination season. It especially helps the almond crop during bloom. With increased bees in almond orchards, it definitely increases concerns, specifically with theft and with sprays, and this program looks like it should help with that. However, Rasmussen fears too much paperwork because there are so many different locations where there will be bees and so many different beekeepers. “It’s going to be a lot of work, but if we can coordinate and everyone does their part it should definitely a step in the right direction. And while all of the registrations are done online, Rasmussen noted that there still a complicated amount of paperwork to keep up with all those locations where you will have those bees. “We're going to have over 150 locations during almond bloom, and each one of those has to be registered with the county or whatever agency is going to handle it, and that's a really busy time of year for us. So that's the only concern I see,” he said. Rasmussen said that compared to five years ago, almond growers are way more aware of protecting bees, thanks to beekeeping organizations and the Almond Board of California. There have been a lot of resources given to growers, and they are doing well. 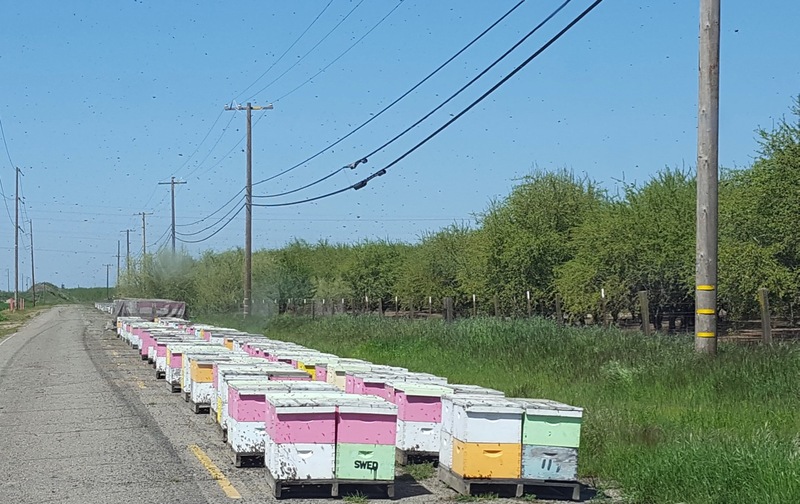 “We are not so much concern with almond growers; it may be the peach grower down the road that could be spraying when our bees are foraging,” he said. “The new law is going to keep us registered, so anyone that's going to spray is going to go through their PCA, and they will know where the bees are. That way, they will know whether or not to spray."